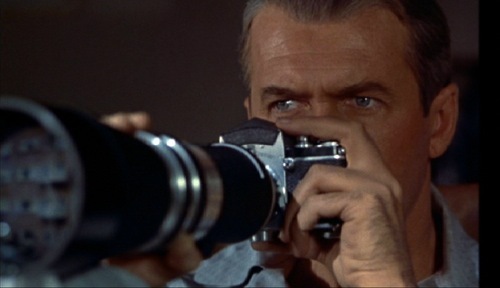 And so, because of this, I thought to myself, “I believe it’s time to rewatch Rear Window.” And so I did. 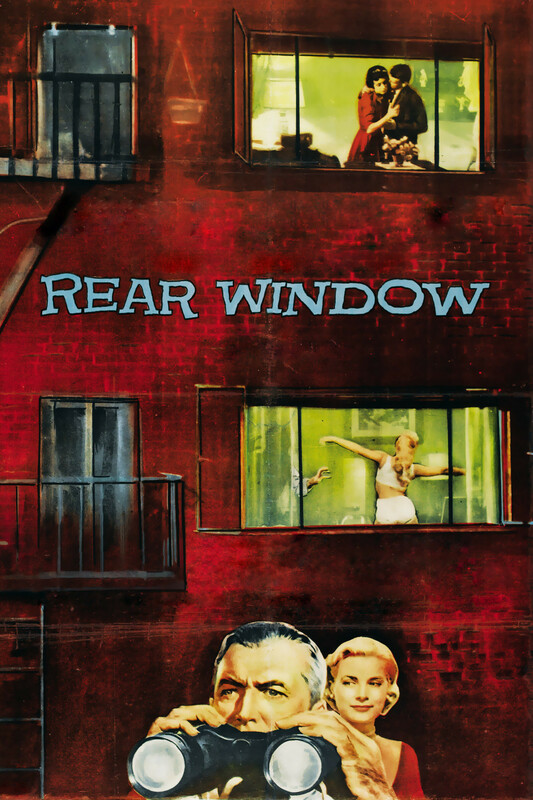 Rear Window was very well received when it was released, earning positive reviews and several Oscar nominations, and now it enjoys a 100% rating on Rotten Tomatoes. I think it’s a genius concept, based on Cornell Woolrich’s short story “It Had to Be Murder”. Stewart’s L.B. “Jeff” Jeffries is a professional photographer nursing a broken leg, stuck in his Greenwich Village apartment for weeks on end. His boredom drives him to spy on his neighbors, causing him to witness what he thinks is the murder of a wife by her husband. He enlists his girlfriend, the lovely Lisa Fremont (Grace Kelly), and his nurse Stella (Thelma Ritter) to help him investigate, but everyone else around him, including his friends at the police department, tell him he’s cracking from cabin fever. He doesn’t give up, and eventually, his meddling gets himself and Lisa into a very dangerous situation. Jeff is an adventurous guy. He spent the majority of his life flying to dangerous and exotic locations, capturing daring feats on his camera. His confinement has brought to light the harsh reality that he is aging, and with that comes a natural slowing down. Lisa, a magazine-running socialite, wants nothing more than for Jeff to stay in the city and open a studio, or to at least take her on his adventures. She just wants to be with him, and to prove that she’s “down” and can hack the crazy lifestyle, she puts herself at incredible risk to prove that her man is right about the murder. She slips notes under the suspect’s door, digs up a garden bed with Stella to find evidence, and eventually sneaking into the suspects apartment and almost getting killed herself, all in the pursuit of the truth (it all goes back to the X-Files). And proof she finds, in the form of a wedding band. To Jeff, Lisa, and Stella, this is enough to confirm that the wife is indeed dead, but to the police it is too easily explained away. But not to fear, Jeff gets the last laugh in the end when he is thrown out of his own window by the suspect and all is proven to be true. Unfortunately for Jeff, he’s stuck with a second broken leg and added time in his chair. 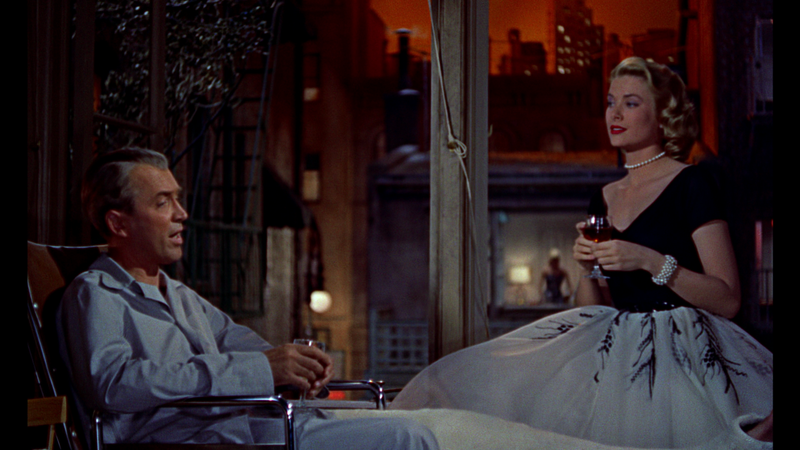 There is so much to love about Rear Window: the simplicity, which I mentioned above, the suspense, the art direction (some of my favorite), the characterization, Grace Kelly’s costumes, and the atmosphere of Jeff’s neighborhood. Apparently diegetic sound was taken into heavy consideration by Hitchcock and others during production, and it shows. The small noises that are so familiar in neighborhoods, yet so easily overlooked, are all accounted for. It’s a busy and noisy area, and the sounds from each person’s life blends in a comforting way with the general hum. It makes one think of their own neighborhood. And maybe I’m reading too much into this, but I see the glimmers of an interesting critique of post-WWII American society. 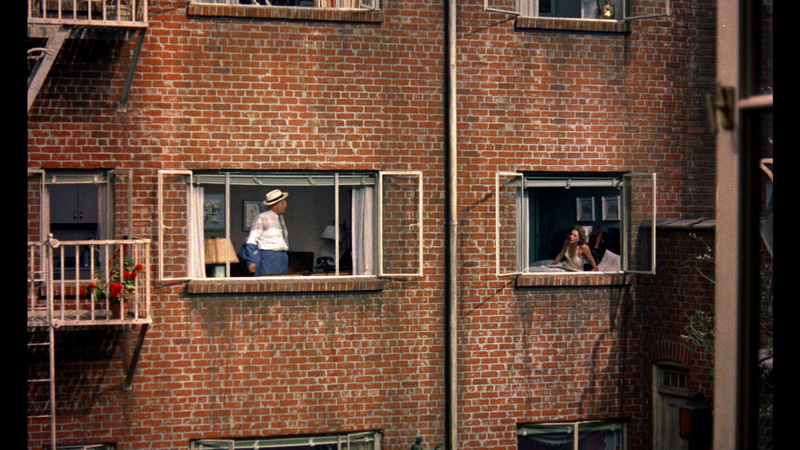 The theme of voyeurism is obvious, and I especially enjoyed the feminist leanings Hitchcock took with Lisa and even Stella, who is so crass in her descriptions and suggestions. But I also feel the budding theme of conspiracy and home-grown threats, and the responsibility of “see something, say something” (more X-Flies). I don’t know, what it yourself and see what you think. 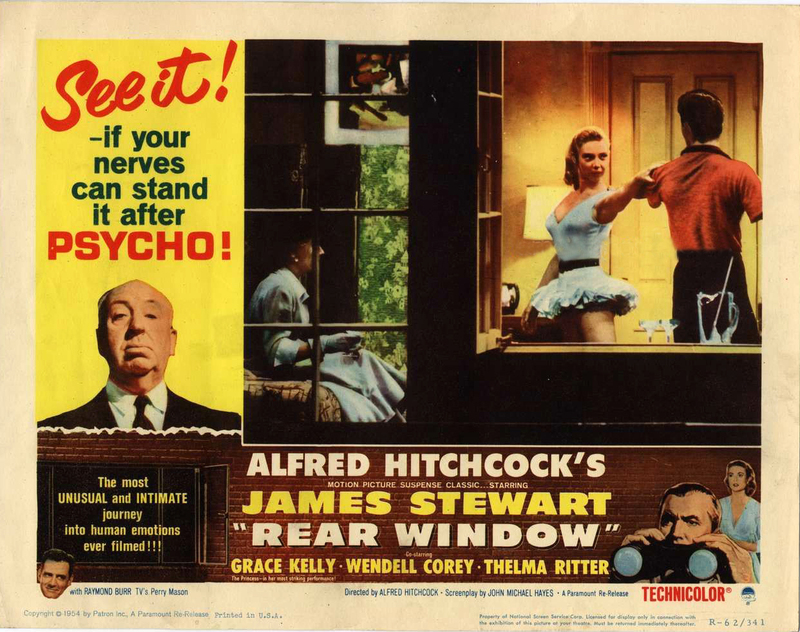 And so, in conclusion, Rear Window is great! It’s multi-layered and relevant even today. In fact, the suspense film Disturbia (love it) starring Shia LeBeouf is basically a remake of Rear Window, and most of the general concept was kept the same. I have always felt a connection to this film and to Jeff. Our adventurous brains make Jeff and I similar, but what makes us different is that Jeff wants outrageous things to happen to him and I simply want to be a spectator to them. If our situations were reversed, I think we’d both be much happier (Yes, I’d rather have a broken leg than have to pack up my rather large apartment. Wouldn’t you? ).